RJ Owen Associates of High Point, NC just completed a complete refurbishment of a major warehouse heating system in Charlotte, NC. A regional company recently purchased an old production facility along I-85 in Charlotte, NC. The facility sat empty for over 10 years before purchase, during which time much of the installed equipment and wiring were vandalized. The new owner hired RJ Owen Associates, Inc to survey and provide heating and ventilation systems. The solution included a new indoor air rotation unit and refurbishment of existing King National AMUs. A new Weather-Rite Indirect-fired heater, arranged as an air-rotation unit, in an indoor vertical arrangement with 100% recirculation was sold for heating the north-facing dock area. The building still contained four twenty year old King National direct-fired air make-up units in various stages of disrepair. 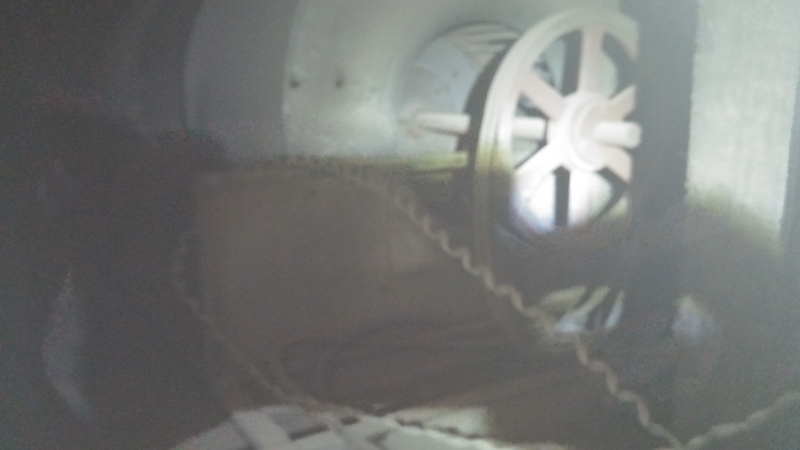 The King units had been vandalized, with motors, controls, and much of the wiring removed. 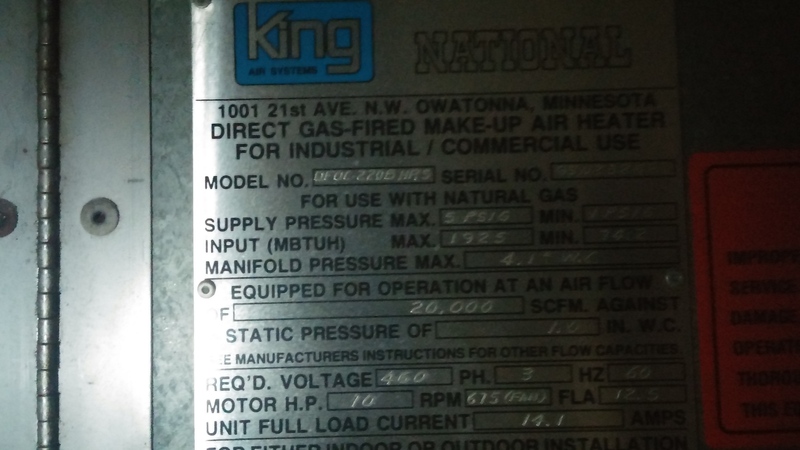 RJ Owen brought in a technical crew and refurbished the King units to provide heat for the rest of the building, optimizing the owner’s investment and providing them time before they further invest in new equipment. 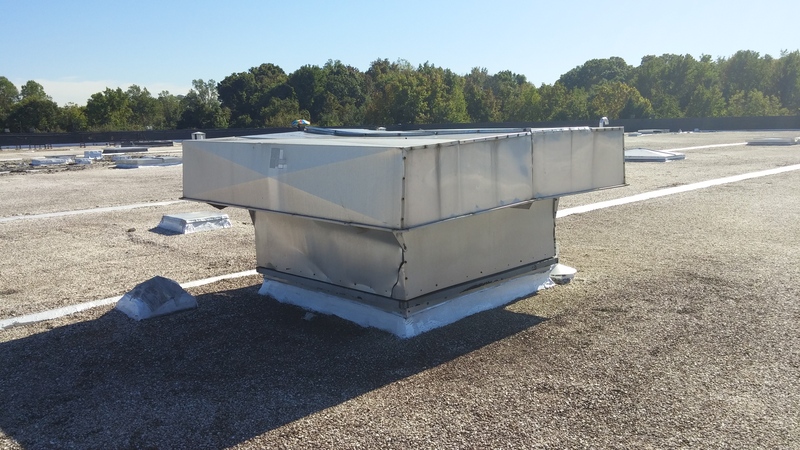 Further analyses of ventilation needs is ongoing with more upgrades scheduled for future projects as the company expands into the new facility. King National closed for business some ten plus years ago. Hence there is little available technical info and no factory support for these units. RJ Owen Associates specializes in this type of situation, with the resources to analyze and supply new heating and ventilation products, repair existing equipment, and offer technical solutions as required for each situation. Utilizing a network of national, regional, and local technical support partners, RJ Owen Associates is well situated to handle unique and demanding new applications and retrofit opportunities.